What happened when a man “accidentally” destroyed his place of employment? Well, that is what happened to Teddy Walker (played by Kevin Hart) and he is forced to back to high school to get his GED. 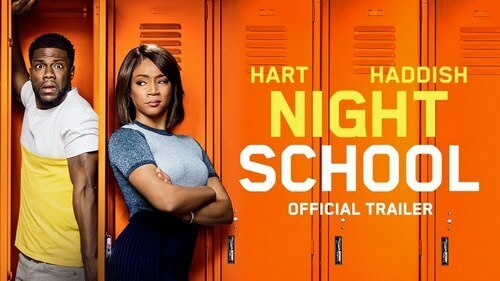 But will he manage in this night school with a group of misfit students and a teacher named Carrie (played by Tiffany Haddish) who thinks he’s dumb? Find the answer on September 28! 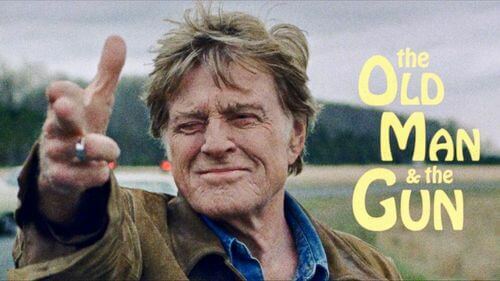 Supposedly based on a true story, The Old Man and the Gun tells an old story of Forrest Tucker (played by Robert Redford) – a 70s-old man who actually had a long career of bank robbery. At his 70s, he escaped from San Quentin and continued a series of “gentleman” heists. Interested in this fascinating story? Remember to check out the film on September 28! Let’s imagine a scenario when Yeti actually exists, and it is just because they live in too high place that we never get to see them. 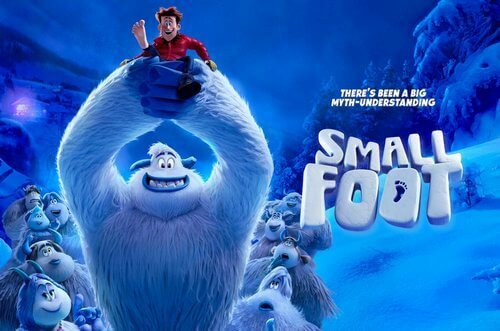 That’s what happens in the world of Smallfoot when the Yetis actually lives like human and has their own high-mountain community. And just like what human believe, the Yetis did not believe in the existence of a humanoid society in the outside world. But what will happen when a Yeti named Migo brings an actual human to their land? Most of the time, we always have superhero-themed movies. But what about a movie telling story of villains? That is what Sony Pictures wants to aim at with the upcoming Venom movie. 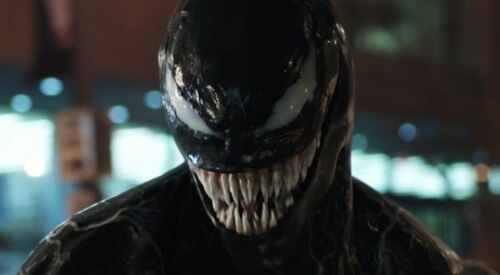 And as you can already guess, this movie will focus on one of Spider Man’s most dangerous enemies – Venom. In all honesty, we are kinda curious about why they chose this character. But nonetheless, the decision was already made, so let’s wait til October 5 and see. 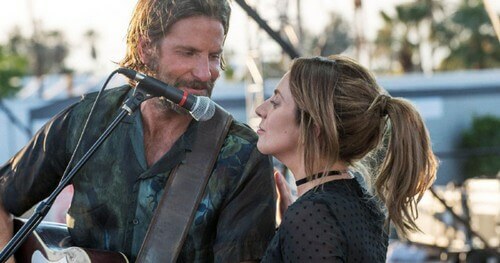 A Star is Born tells a story of a seasoned musician named Jackson Maine (played by Bradley Cooper) who discovers — and falls in love with Ally (played by Lady Gaga), a struggling artist. And just when she’s about lose hope; Jackson brings her into the spotlight. But as Ally’s career takes off, Jackson has to face his own internal struggle, causing their relationship to crack. But anyway, aside from the story itself, this film is definitely a must-watch movie for those who are fans of Lady Gaga. 7 strangers with different secrets meet each other in a run-down hotel in Lake Tahoe in 1960s California. But just when we think it is just a simple drama story, chaos happen after one fateful night as every single person only has this one chance to redeem themselves. The trailer so far really intrigues us and we really want to see what will happen next. 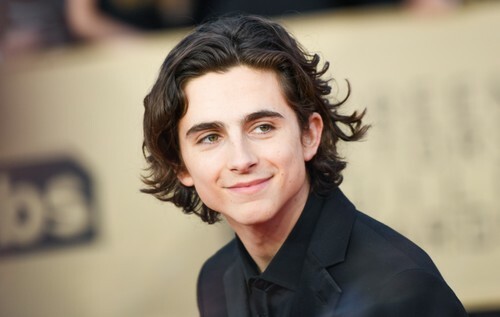 Based on the best-selling memoirs from father and son David and Nic Sheff, Beautiful Boy tells the story of a young teenager named Nicolas Sheff (played by Timothée Chalamet) who seems to have a happy life: good grades, editor of the school newspaper, actor, artist and athlete. Yet, who knows that he becomes a drug addict. Even so, his father (played by Steve Carell) refuses to give him up as he tries to do everything he can to help his son. This should be a beautiful story of father and son, and also, a boy who overcomes the darkest days of his life. 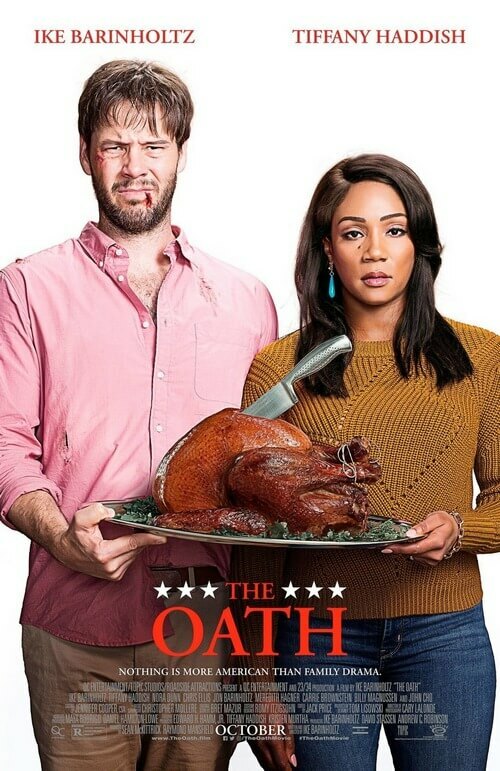 Unlike its description, The Oath is actually a politic-themed comedy movie. The film sets in an imaginary scenario when America is divided into 2 opposing politic factions. Chris (played by Ike Barinholtz), a news junkie, finds out that citizens have to make their decision after Thanksgiving. Knowing that this news can potentially destroy his family’s Thanksgiving, Chris tried to keep this politic problem out of the occasion. But will he succeed? 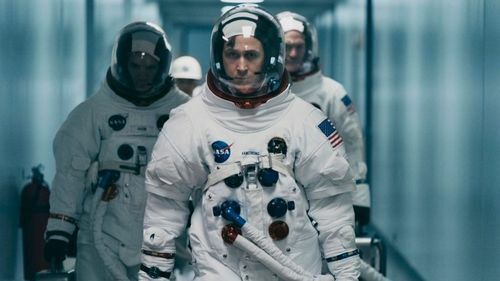 From the director of La La Land – Damien Chazelle – comes the movie named First Man which tells the story of Neil Armstrong (played by Ryan Gosling) – the first man who set foot on the Moon. Most of us probably know the man’s story, but what exciting about this movie is how it focuses on the tension, the feeling of Neil’s family and the pressure upon the government when letting the man anticipating in this dangerous expedition. 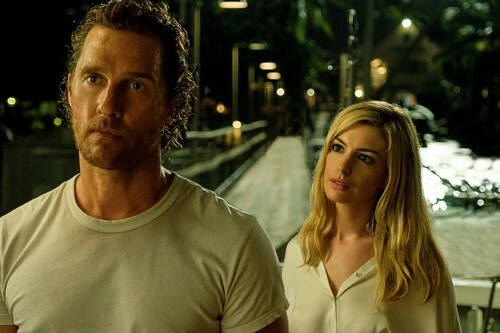 Serenity 2018 takes a more messed up approach towards love relationship: Baker Dill (played by Matthew McConaughey) is a fishing boat captain who leads tours at the tranquil enclave of Plymouth Island. But his peaceful life soon fades away when his ex-wife Karen (played by Diane Lane) finds him and asks him for save her and her son from her brutal husband. However, her wish of “dealing” with his husband of her is rather… disturbing and this makes Baker to struggle with what’s right and wrong. 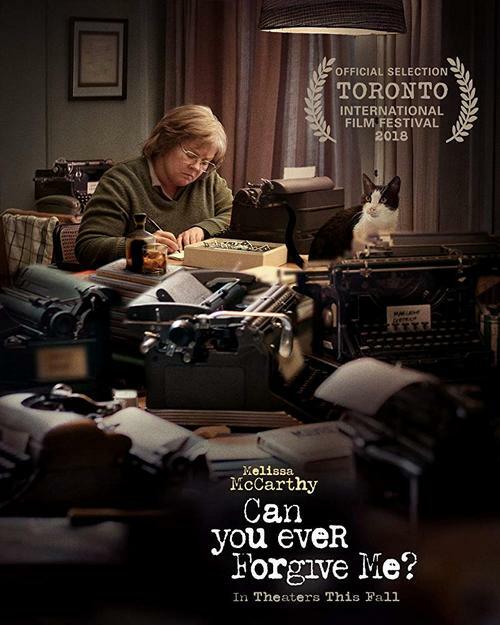 Can You Ever Forgive Me is an interesting film based on a true story from one of the best memoir of the same name. It tells the story of Lee Israel who can no longer continue her book writing work for a living. And in her most struggling moment, Lee decided to forge fake letters of famous deceased authors and playwrights. For those who already read the original memoir, you probably know what happened. But for those who don’t, this film should be a great one especially for writing fans. 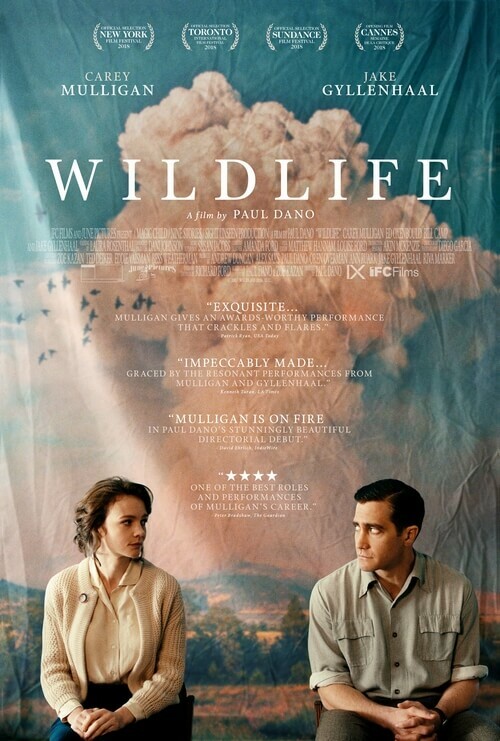 Wildlife 2019 is a touching movie based on a Richard Ford’s novel of the same name. It tells the story of a nuclear family including the husband Jerry (played by Jake Gyllenhaal), his wife Jeanette (played by Carey Mulligan), and their son Joe (played by Ed Oxenbould) living in a small town in 1960s Montana. Jerry is a golf-pro, but then there is an uncontrolled forest fire rages close to the Canadian border which causes Jerry to lose his job. And so, Jerry decided to join the cause of fighting the fire, while leaving his family behind. The story is then told from the perspective of their son Joe who witnesses how his parents’ relationship gradually breaks down. Most of us probably know The Jungle Book (1894) which includes various stories written by the English author Rudyard Kipling. In the past, there was already movie adaptation of The Jungle Book and this year, we’re going to see this brand new adaptation which will tell the original story of Mowgli. Interested? Be sure to check it out on October 19. 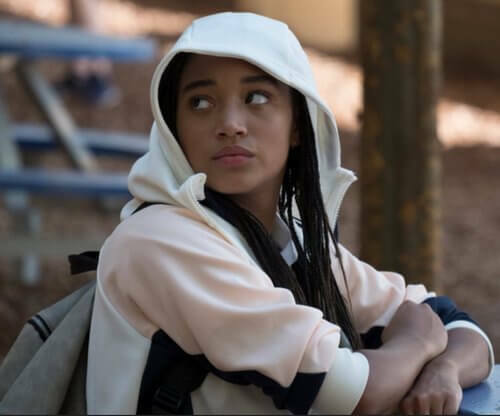 Based on the novel of the same name written by Angie Thomas, The Hate U Give tells a story about a girl named Starr Carter (played by Amandla Stenberg) who lives in a black, poor neighborhood, while studying at a prep school consisting of mostly rich white students her life seems to be happy one until one day her friend Khalil is shot down by a white police officer. This causes a huge conflict within the area she’s living, and Starr Carter will have to make her decision. Another Halloween event, another Halloween movie. But this year’s Halloween movie seems to lean towards more on action element. 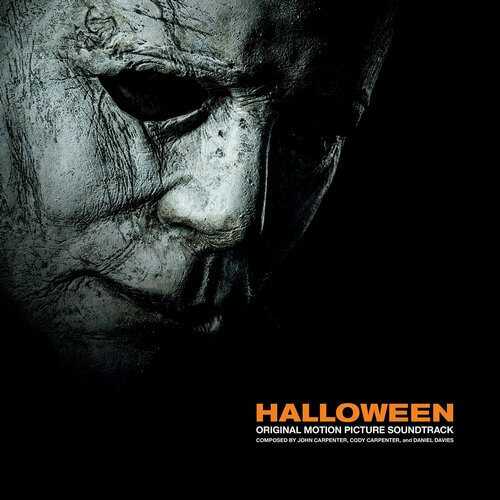 In this film, it has been 40 years since Laurie Strode (played by Jamie Lee Curtis) survived from the insane killer Michael Myers (played by Nick Castle)’s assault on a Halloween night. Eventually bad news comes when Myers escapes from a bus-transfer accident and this guy is coming to her neighborhood. But this time, the “grandma” already has a plan for him. Starting November 2018, we have a fairy-tale based story inspired by E. T. A. Hoffmann‘s The Nutcracker and the Mouse King and Pyotr Ilyich Tchaikovsky‘s ballet The Nutcracker. 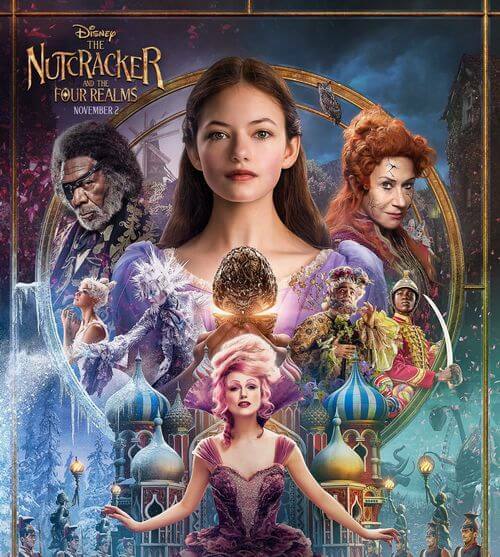 It tells the story of a young girl named Clara (played by Mackenzie Foy) who was led by a golden thread into a magical parallel world. In this world, Clara discovered the 3 different realms: The Land of Snowflakes, the Land of Flowers, and the Land of Sweets. But then there is one last realm, the most dangerous realm of all and she will have to venture there to retrieve the magical key and restore the balance of the world. With the name based on one of the most famous songs by the legendary British rock band – The Queen, Bohemian Rhapsody will bring their extraordinary memories back on cinema. 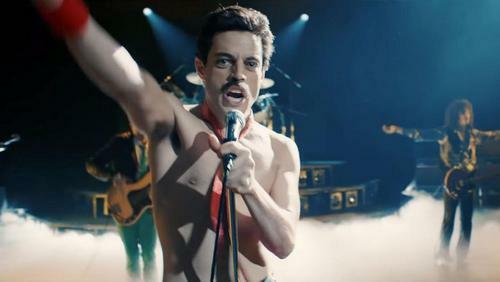 The film is expected to recall the path to success of The Queen since the beginning of the band, to the moment they recruited the phenomenal lead singer Freddie Mercury (played by Rami Malek), and to their ultimate experience at LIVE AID 1985. For fans of The Queen and Freddie Mercury (and even for those who are not), this should be an incredible musical journey you never want to miss. 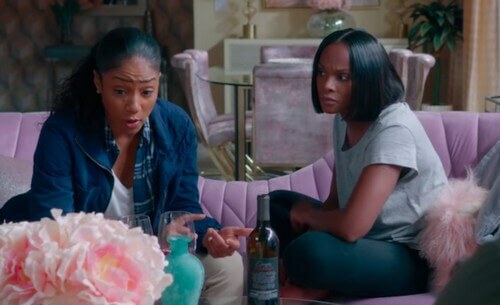 Nobody’s Fool is a comedy movie about two sisters Tanya (played by Tiffany Haddish) and Danica (played by Tika Sumpter). The older sister Tanya is wild, bold, and most importantly, she never lets anyone makes her a fool; while her younger sister Danica always has to try keeping her in check. In the present day, Tanya just gets out and lives with her sister Danica. And this time, Tanya will show her younger sister that her boyfriend is not as what he seems. Homosexual is not something easy to be accepted in many families, and that is exactly what presented in Boy Erased. 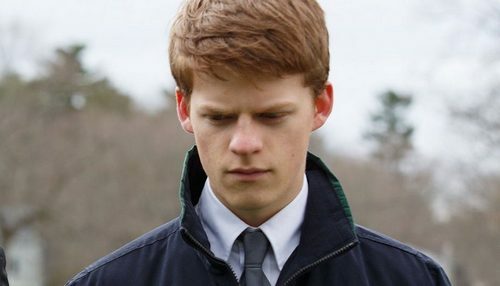 Based on a real-life story, the film tells the struggle of a 19-year-old Jared (played by Lucas Hedges) with his life. Despite his loving mother, his father is a Baptist pastor who cannot accept the fact that his son is homosexual. And so, Jared was pushed into an ultimatum: either going to conversion therapy program, or, be permanently exiled and shunned by his family and friends. Suspiria 2018 is the remake of the original horror 1977 Suspiria directed by Dario Argento. The film tells the story of a young talented danger named Susie Bannion (played by Dakota Johnson) who gets admission to Markos Dance Academy. However, her fellow dancer Patricia Hingle meets with Susie’s psychiatrist – Dr. Jozef Klemperer and warns him about the dark nature of the academy. Of course, the psychiatrist did not believe it at first, but as soon as everyone realizes something wrong, it all seems too late as the darkness of the “Three Mothers” already falls upon them. 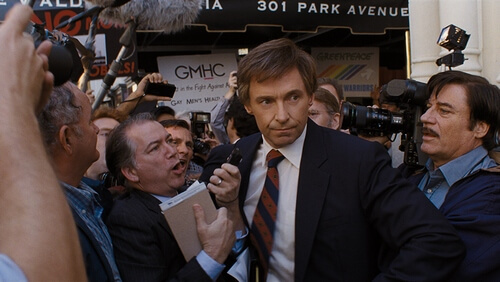 The Front Runner is based on the true story of Gary Hart – a Democratic candidate who got extremely successful presidential campaign in 1988; however, it all fell apart when he caught up in a scandalous love affair. And interesting enough, the “Wolverine” Hugh Jackman will take the role of Gary Hart. 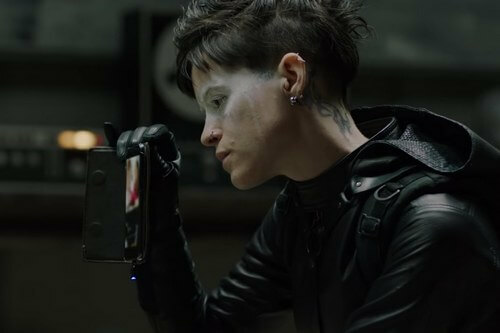 The Girl in the Spider’s Web is the second sequel to the David Fincher‘s The Girl with the Dragon Tattoo. In this sequel, hacker Lisbeth Salander (played by Claire Foy) and journalist Mikael Blomkvist (played by Sverrir Gudnason) find themselves caught in a web of spies, cyber criminals, and government corruption. And soon, they will realize the true terror, the true vengeance from an “old friend” of Lisbeth – Camilla Salander (played by Sylvia Hoeks). 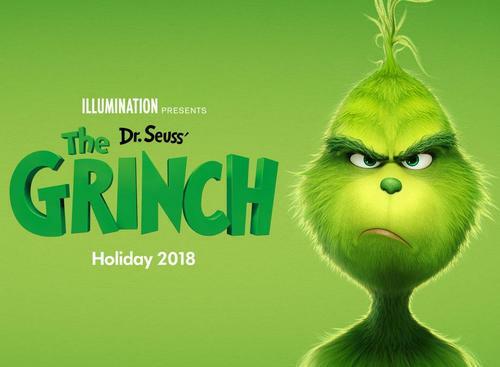 Christmas is a happy holiday for all residents of Whoville, but for a certain person – The Grinch (voiced by Benedict Cumberbatch), it is a despicable event and he is planning to ruin this day with his trusty doggo Max. But what does he know that there will be a young girl trying to ruin his plan. 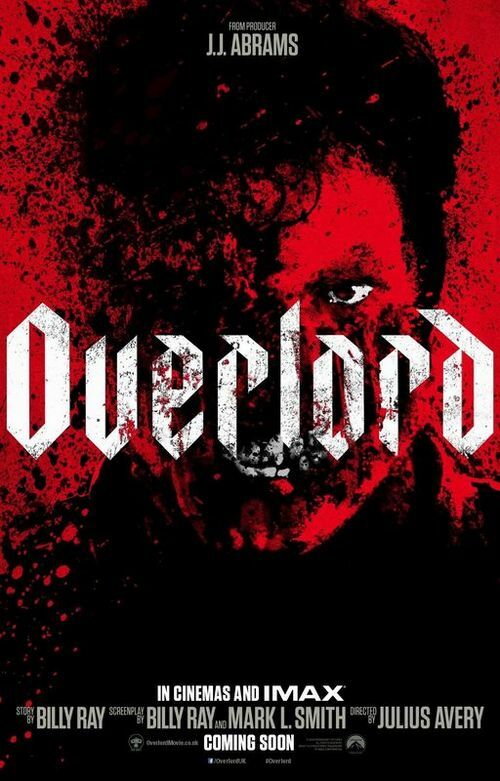 First and foremost, please do not mistake this Overlord 2018 movie with the anime of the same name. The film brings us to the eve of D-Day during World War 2 as a group of American paratroopers take on a mission of destroying a German Radio Tower in a small town outside of Normandy. However, their plane crash and the group realizes that they are stuck in a hell hole where not only they have to fight Nazi soldiers but also the terrible abominations created by a secret Nazi’s experiment. Continuing the magical journey in Fantastic Beasts and Where to Find Them 2016, audiences will get to experience this journey again with the latest sequel of Fantastic Beasts series – Fantastic Beasts The Crimes of Grindelwald. 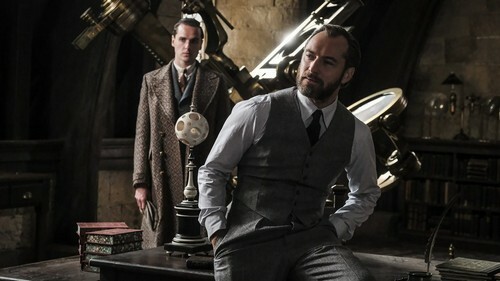 This time, Newt Scamander (played by Eddie Redmayne) will join force with young Albus Dumbledore (played by Jude Law) to prevent the true plan of dark wizard Gellert Grindelwald: raising pure-blood wizards to rule over all non-magical beings. Widows is the upcoming heist movie directed by Steve McQueen. 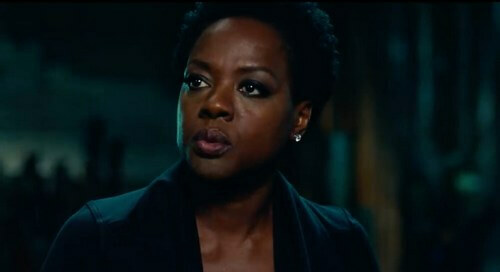 It tells the story of Veronica Rawlins (played by Viola Davis) who has her husband died from a failed 4-man heist. Unfortunately, such failure also puts a huge debt upon Veronica and other three wives whose husbands were also died from that heist. Together, the four widows decided to take this matter to their own hand. Creed 2 is the second sequel to the first 2015 Creed movie and also the eighth installment of Rocky series. 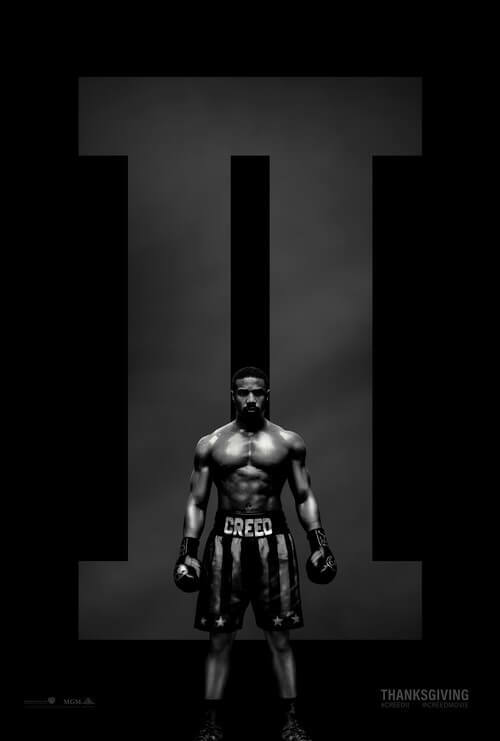 In this sequel, the newly crowned light heavyweight champion Adonis Creed (played by Michael B. Jordan) will have to face his father’s former opponent and also his killer – Viktor Drago (played by Florian Munteanu), the son of Ivan Drago. But this time, he will not be alone as the legendary Rocky Balboa (played by Sylvester Stallone) will be his coach. Wreck-It-Ralph and Vanellope von Schweetz are going to come back with the newest sequel Wreck-It Ralph 2 – Ralph Brakes the Internet. 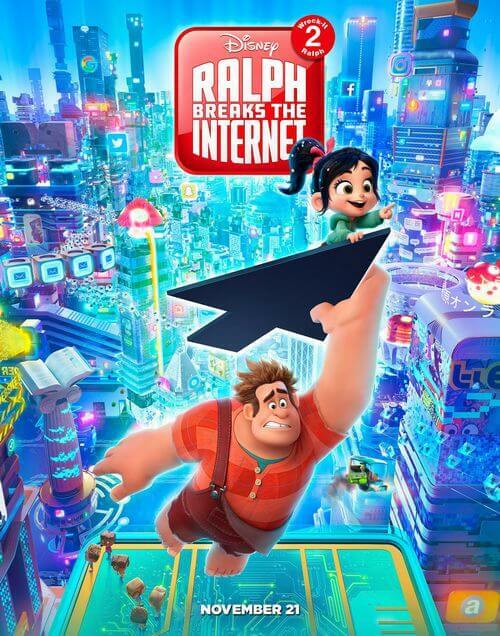 This time, we will get to travel with Ralph and Vanellope to the wonderful virtual world of Internet filled with the likes of… Youtube, Google, Twitter, Facebook, Snapchat, and Disney Princesses? Sounds like fun, eh? 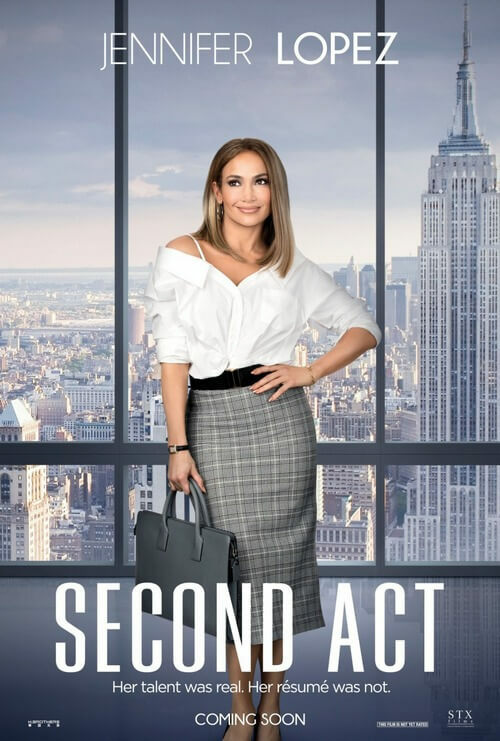 Second Act is the upcoming comedy movie telling a story of Maya (played by Jennifer Lopez), a 40-year-old big-box-store worker who is struggling with frustrations from unfulfilled dreams. But one day, chance finally comes to her when a prestigious company finds her “fake profile” on the Internet and recruits her. Will this lead to a new disaster? Who knows, but at last she can prove that street smarts can be just as as valuable as book smarts. In the past, there have been a number of efforts trying to recreate/reimagine the story of Robin Hood. 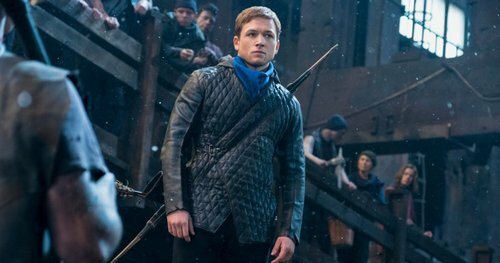 And this year, we will get to see a new 2018 Robin Hood film, introducing Robin of Loxley (played by Taron Egerton), a war-hardened Crusader, who is in training to be a “thief”, along with his Moorish commander (played by Jamie Foxx) to start a revolt against the corrupted English government. So far its trailer has received quite lots of harsh comments but hey, it is not even out yet so let’s wait and see. 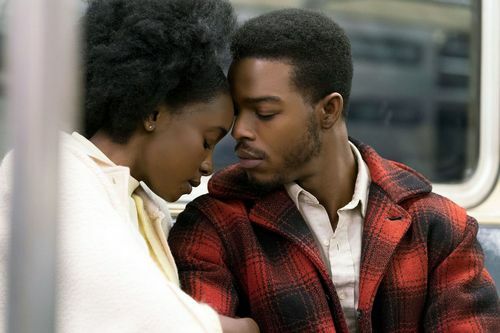 Based on the novel of the same name written by James Baldwin, If Beale Street Could Talk tells the story of Clementine “Tish” Rivers, an African-American woman who tries to clear her husband’s name from a wrongly accused crime before their child’s birth. The original novel is a touching story itself and let’s hope that it will be translated beautifully on screen. 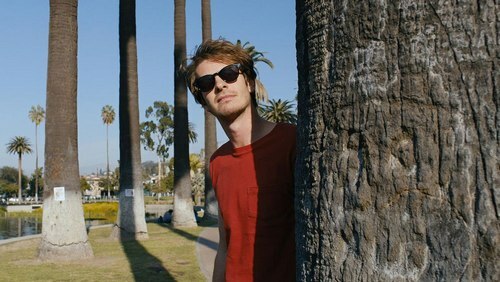 Under the Silver Lake is a rather peculiar movie (in a good way of course) written and directed by David Robert Mitchell. 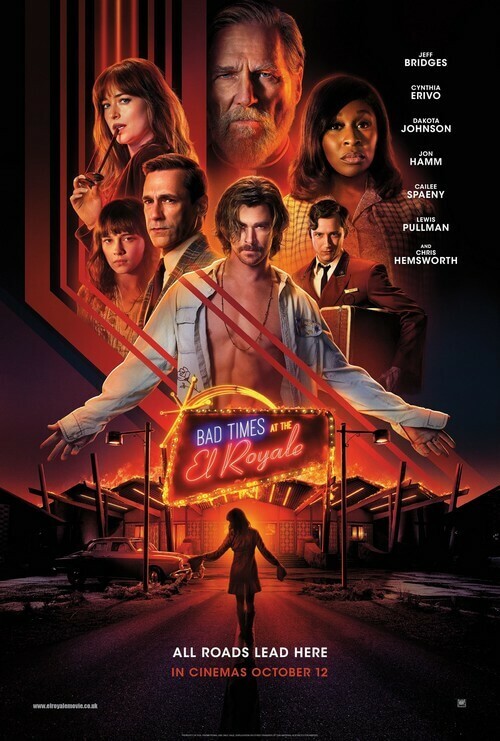 It follows the story of Sam (played by Andrew Garfield), a young, somewhat wealthy man who suddenly found a beautiful girl swimming in his building’s pool one night. Sam soon falls in love with the girl, but only to find out that she suddenly disappears in the next morning. And so he sets out to look for clues to find her, yet at the same time, he gradually discovers lots of mysteries, scandals and conspiracies. Spider Man franchise is really a huge hit in 2018 with the Marvel Spider Man PS4 game which has just released on September 7, 2018. Then in December 14, Spiderman fans will get to see their favorite Spidey in action again in the latest film Spider Man Into the Spider Verse. 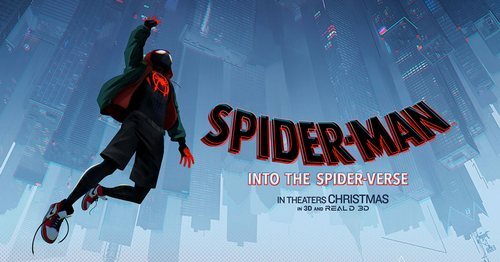 The movie focuses on Miles Morales (played by Shameik Moore) who is introduced into the “Spider-Verse” where there is not just one Spider Man. The greatest part is: we can get to see how Peter Parker (played by Jake Johnson) trains his student. 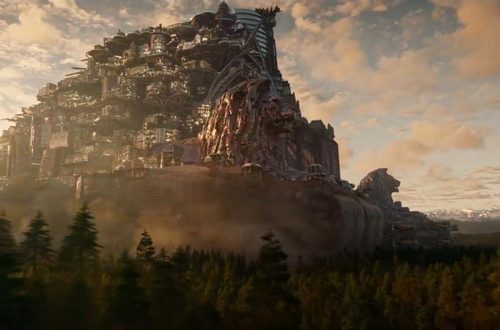 Mortal Engines is originally a novel written by Philip Reeve, which tells the story of a post-apocalyptic Earth where people living in gigantic moving cities. These cities roam around the Earth and devour smaller traction towns. In this world, Tom Natsworthy (played by Robert Sheehan), a low-class Londoner historian apprentice, met a mysterious girl named Hester Shaw (played by Hera Hilmar) who seeks to kill Thaddeus Valentine (played by Hugo Weaving) – a powerful man in the city. Unfortunately, Tom and Hester are exiled to the traction towns, yet eventually ally with each other and the resistance to change the future. It is a really fascinating story and we will get to see it in real action soon enough. 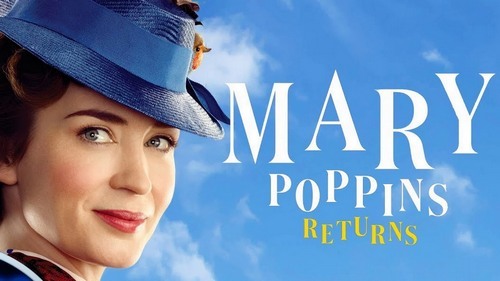 Sequel to the original 1964 Mary Poppins movie, 2018 Mary Poppins Returns introduces the return of Mary Poppins (obviously) in Depression-era London where she visits Michael (played by Ben Whishaw) and Jane Banks (played by Emily Mortimer). Both are now grown up and Michael is living with three children. The Depression Era surely has huge negative impact upon Michael’s family, but Mary Poppins (played by Emily Blunt) is here to shows him and Jane the joy when they were children. Unlike most of the movies featured on this list, Alita Battle Angel is actually based on the manga Gunnm (or Alita Battle Angel) by Yukito Kishiro. 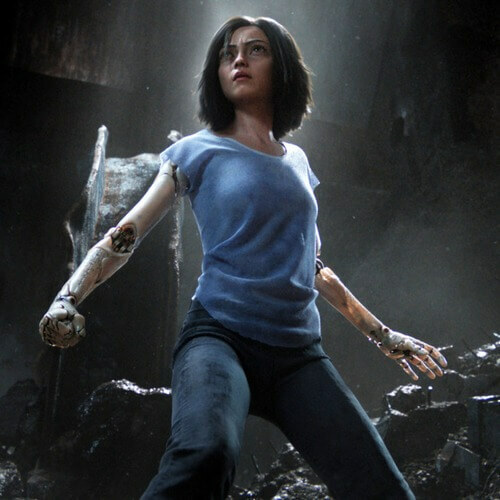 The film is said to adapt “the spine story” of the original manga, introducing Alita (played by Rosa Salazar), a cyborg who is found by Ido (played by Christoph Waltz), a compassionate cyber-doctor. Ido wanted to shield Alita from her past and also the dark nature of the new world. However, her secret can never be covered and ultimately, she found her origin and her true purpose. An another Transformers film, but it is in fact the prequel to the first film 2007 Transformers, and it is not directed by Michael Bay. 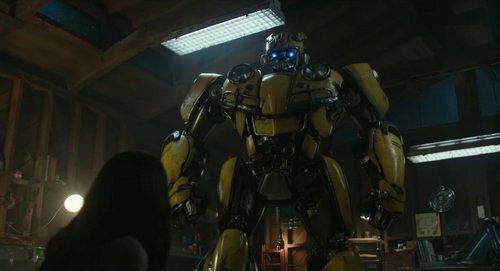 The film takes place 20 years before 2007 Transformers in 1987 as Charlie Watson (played by Hailee Steinfeld), a teenage girl finds Bumblebee in the form of an old yellow car in the junkyard. Soon, Charlie finds herself and Bumblebee being chase by a government agency known as Sector 7. As they try to run away, Charlie also discovers that Bumblebee is not the only Transformers on Earth and not all of them are friendly. 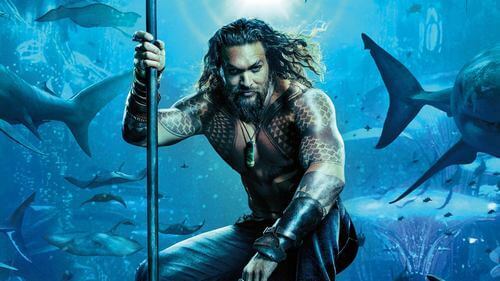 For those who are dying to see a good DCEU film, 2018 Aquaman seems to be the best bet this year, introducing the origin story of Arthur Curry a.k.a Aquaman (played by Jason Momoa). Just like his original comics, Arthur is son of Queen Atlanna and he is a rightful king of Atlantis. Meanwhile, his blood-brother Orm seeks to unite the seven seas to invade the surface world. As the result, Mera seeks Arthur and convinces him to return to Atlantis and reclaim the throne. Honestly speaking, the trailer looks pretty fantastic and hopefully the film will turn out as good as its look. 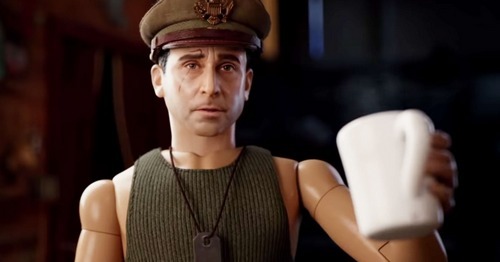 Welcome to Marwen is a fascinating drama film inspired by Jeff Malmberg‘s documentary Marwencol in 2010. The film tells the story of a man named Mark Hogancamp (played by Steve Carell) who is violently assaulted by five Nazi-tattoo men. As the result, Mark suffers from a trauma and requires recovery treatment. And so, he builds a miniature World War II village in his yard and named it Marwen. With the help from the locals and his creation village Marwen, he gradually finds courage to step up with his life. The famous stories of Sherlock Holmes written by Arthur Conan Doyle have always been a great inspiration for many filmmakers. 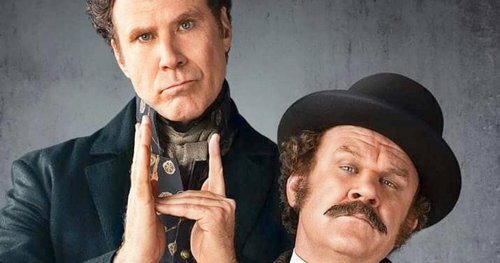 And on December 21, 2018, we will get to see the famous detective and his friend Doctor Watson on a new journey with a new secret waiting to be discovered. Unfortunately we still haven’t had opportunity to see its trailer yet. And that’s it folks! Which movies are your most anticipated in 2018? Feel free to share with us and for now thank you and stay tune for more news in the future! Justice League 2017 – What Went Wrong?